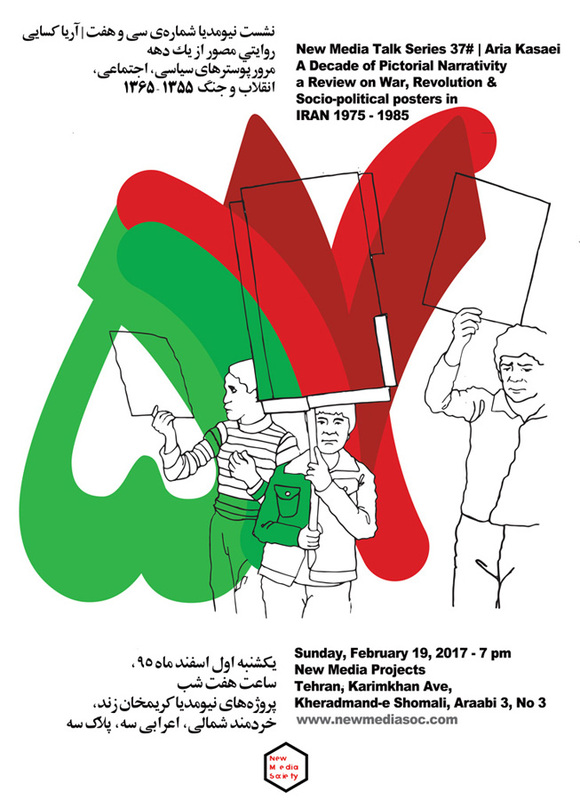 The talk will focus on review of political, social, revolutionary and Iran/Iraq War posters during 1977-1987 and various active orientations toward this period such as Islamic Development Organization (Hozeh Honari), Students of Faculty of Fine Arts, Shishehgaran Brothers, Tehran Museum of Contemporary Art, Institute for the Intellectual Development of Children and Young Adults and independent designed posters. Also we will discuss about history of mentioned activities and their visual characteristics. Aria Kasaei (b. 1980) is art director of Studio Kargah, graphic designer, archivist and lecturer in history of Graphic Design at Vije School. He is also art director of Azad Art Gallery, Mohsen Art Gallery, Dastan Art Gallery, Ab-Anbar Art Gallery, Platform 28 and Pejman Foundation poster projects. As an archivist, he has collaborated with Iranian Museum of Graphic Design, Paris Museum of Modern Art, Paris Museum of Decorative Arts, Museo MAXXI (Rome) and TATE Modern (London). Besides he has organized exhibitions about Ashurbanipal Babilla’s drawings, painting, and graphic works; Fereydoun Ave as a designer; the visual identity of the Theatre Workshop and Karnameh Exhibition as part of Studio Kargah Projects in collaboration with Ali Bakhtiari.